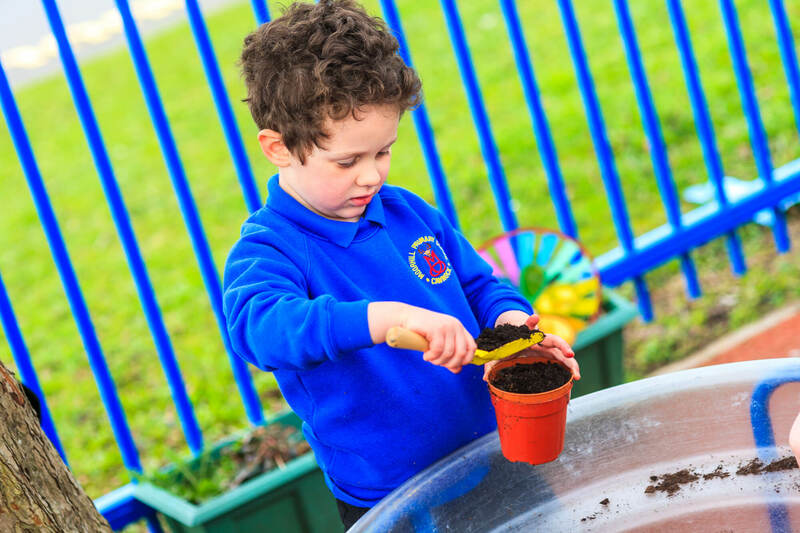 In Reception we have a long term plan that includes a variety of themes through which we teach the children the skills and knowledge in order for them to achieve the Early learning Goals by the end of the year. We also take the children’s interests into account and therefore ‘mini’ themes and topics can emerge throughout the year based upon their current interests. We look forward to getting to know you and your child over the next academic year. Remember that the reception staff are always available to answer any questions or concerns you may have. Our first topic is ‘Ourselves’. We shall be talking about our families and friends and use a range of art and design techniques to paint, draw and make pictures of them. We shall investigate objects using our five senses and look at ways we have changed since we were babies and how to keep ourselves healthy. We’ll meet our school nurse, Nurse Michelle, and see how heavy and tall we are. In our Literacy lessons we shall begin to learn our letter sounds, practise writing them correctly and begin to read simple words. In our Maths lessons we’ll be learning about numbers including what they look like, how they can be represented, counting and making amounts. Many thanks to everyone who attended the meeting about reading, writing and maths in July. There will be further meetings this term to inform you about what your child is learning and how to support at home. Once the children have settled into Reception, we send out weekly challenges for the children to complete with their families. These come home on Friday and should be returned to school the following Wednesday at the latest ready for the new challenges to be added for the following week. We will also send home a story book that the children choose themselves which is for sharing with a grown up at home. We set little challenges with the book such as finding letters we have learnt that week in the text, talking about the characters and setting in the story and predicting what might happen next. Once a child is able to read simple words by blending, we send home a reading book for the child to read to a grown up. We also send home the letter sounds we have learnt each week for you to practise together at home, along with some ‘tricky’ words that children need to learn to read on sight. More details on all the above will come home with your child over the next few weeks. Make your children be as independent as possible by allowing them to get changed in the morning, help pour milk on cereals at breakfast time and be able to sort themselves out on the toilet by themselves. Can your children recognise their own name? Play games where you have several copies of their name with letters mixed up or omitted. You will be surprised how many times we think our children can recognise their own names but they are only usually looking at the initial letter. Count at every opportunity. Going up and down stairs saying one number for each step, counting out enough knives and forks for tea with the family etc. We don’t only count forwards from 0-20; we need to be able to count backwards from 20-0 too! Allow your children to write for a purpose. Get them making shopping lists, reminders for the following day etc. At the moment we are not focusing on spelling words correctly and listening for sounds we are looking at making marks that have a meaning (i.e. your children might record – aet ooo ||| etAv B and tell you it says ‘I like it at school’). Praise your children for the marks they make and allow them to see you writing too. Share books at bedtime. Ask your children to help with turning pages over, showing you where to start reading, talking about the pictures etc.